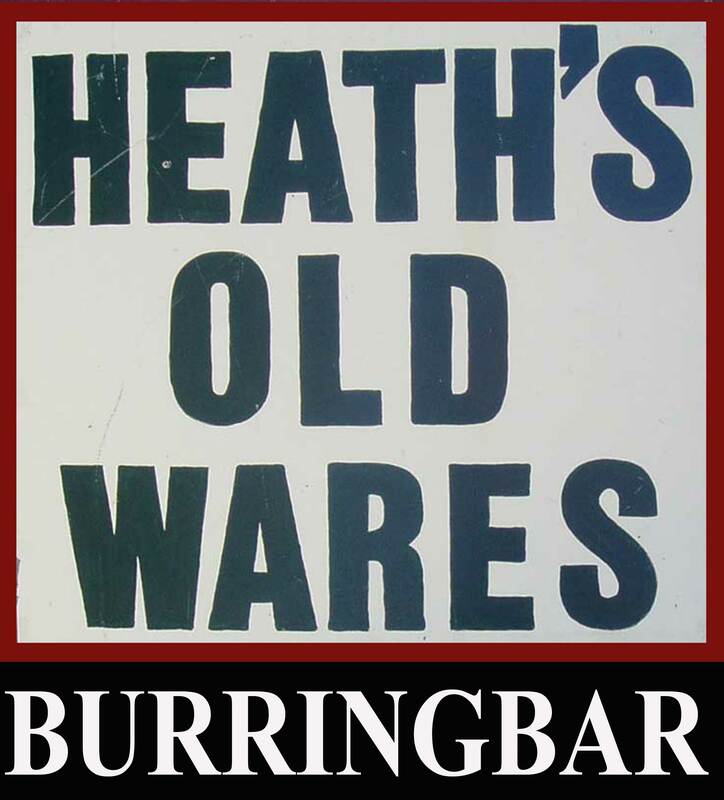 This has been an unidentifiable item in our display for over a decade. 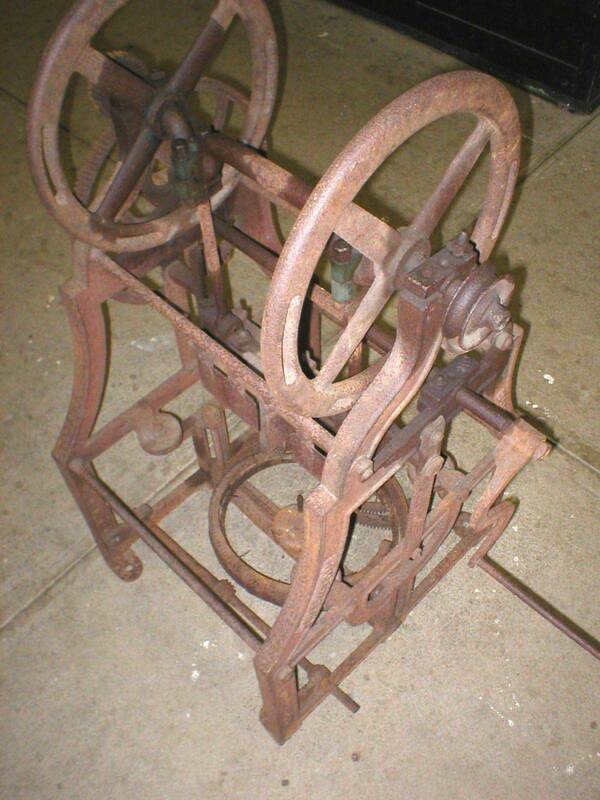 This piece of antique machinery is from around the second half of the 19th century. 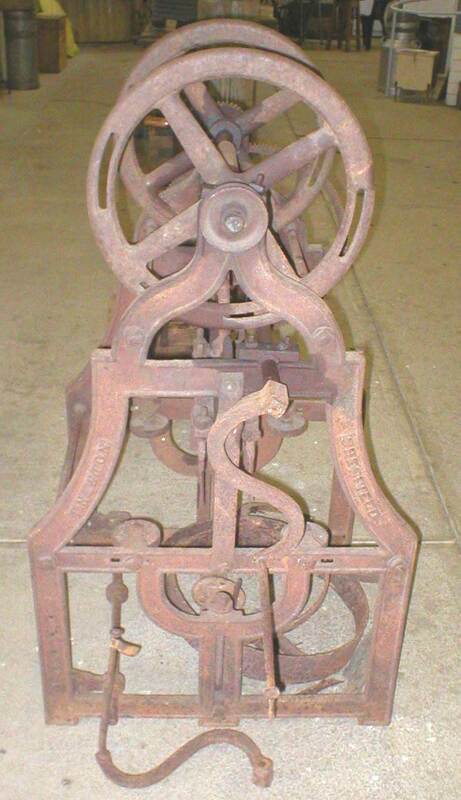 Our antique Mystery Machine is made of cast iron, stands about 4'6" (140cm) tall, about 3' (approx 90 cm) wide. There is a wheel on either side at the top. 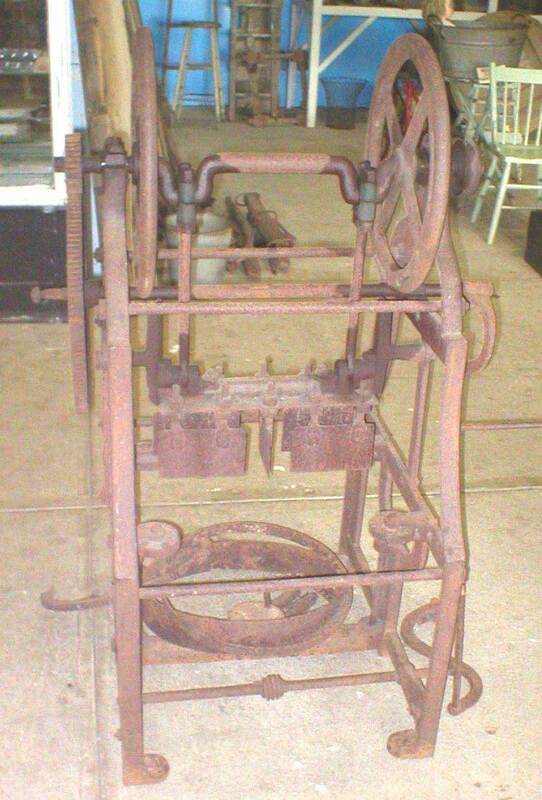 Two people can be operating the machine, we are not sure if it was necessary or convenience, as the handles on the sides are removable. 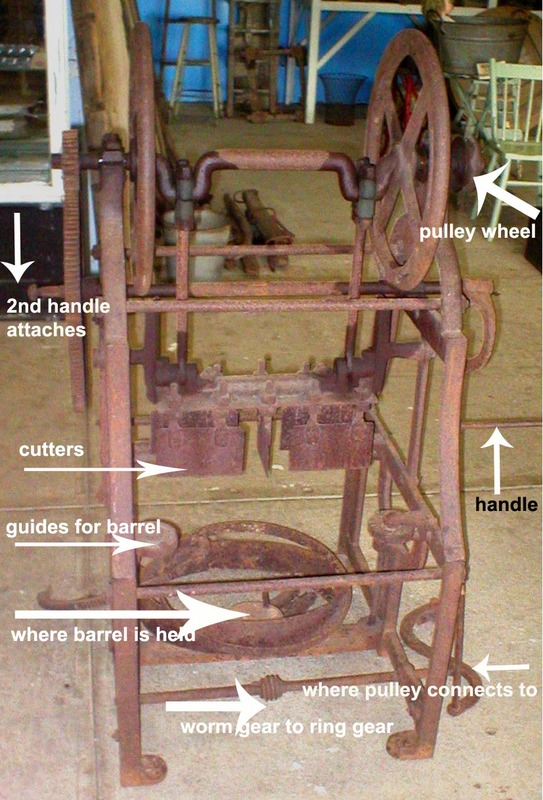 A pulley wheel at the top connected to a worm gear at the bottom that runs the ring gear which turns a barrel or a block of timber. 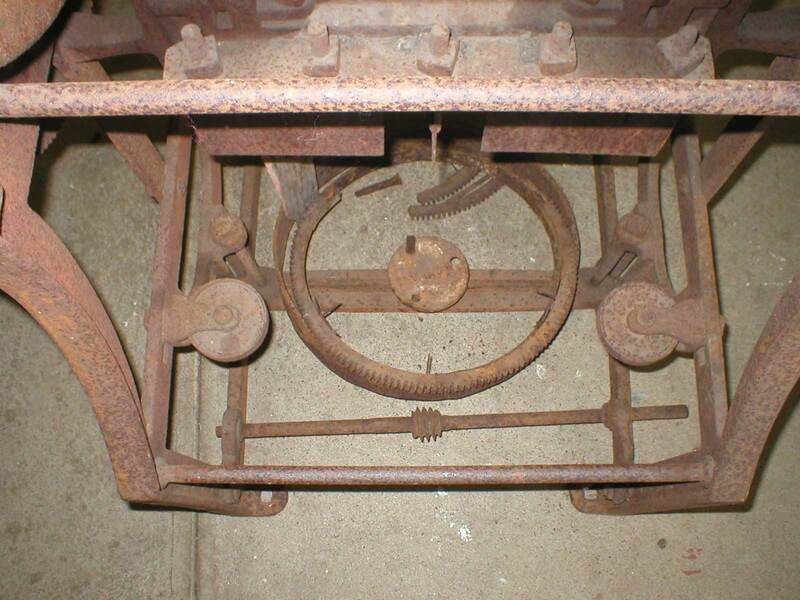 The barrel or block of timber is held in place at the base and has a wheel about 3" in diameter fixed at each corner about 2" from the base as a guide while it turns. While you are turning the wheel and the barrel is moving there are 7 chopping blades in a fixed position - like two bricks. "T. NEWTON" on the other. Over the years our Mystery Machine has been featured in the Northern Star, our local regional paper & The Land Newspaper. We have communicated with the Powerhouse Museum, and the University of Engineering Sheffield, England. 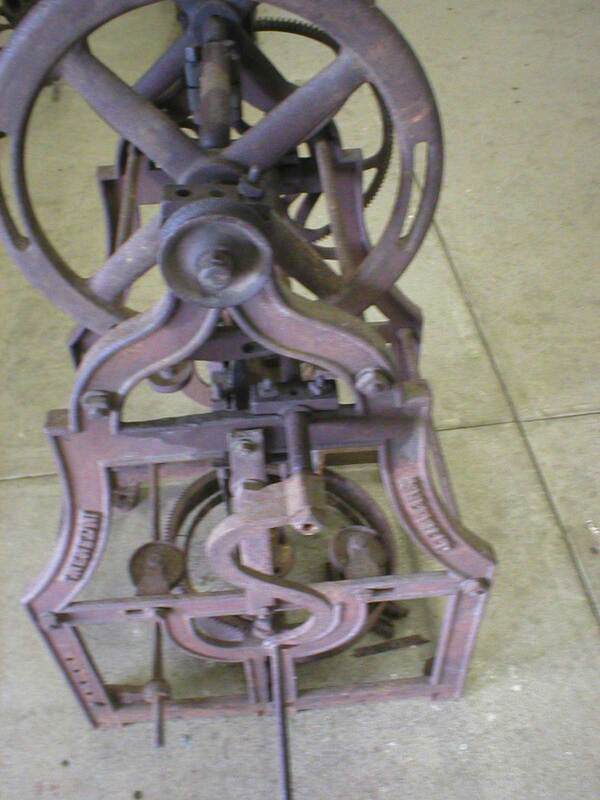 "Can We Help" and "Collectors" ABC television, but no one has been able to yet identify this fabulous piece of antique engineering history.